When someone you dearly love has passed away, probate procedures may be the last thing on your mind. That’s when you need the help of an experienced Tulsa probate attorney. If you neglect the complex transitional tasks associated with probate, your loved one’s final wishes may be neglected while strangers decide what will be done with their estate. An experienced Oklahoma probate attorney who knows the ins and outs of the probate process can expedite the complicated endeavor. With the disposition of their estate in trustworthy hands, you can find the comfort you need to share memories of your loved one with friends and family. 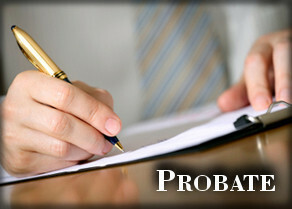 Probate can be seen as a checklist of legal requirements that must be met after someone dies. The process involves validating the person’s will, taking inventory of their assets, getting their property appraised, settling their debts, paying outstanding taxes and distributing their estate according to terms of their Will or, when there is no formal Will, according to state law.. Under the laws of every state — including Oklahoma — heirs are free to handle probate without the counsel of a probate attorney. In most cases, there are sound reasons to retain an experienced probate lawyer. Probate laws are complex and seldom involve one single jurisdiction. There are state and federal tax laws — including income tax laws, gift tax laws and inheritance tax laws. On top of tax laws, there are notification requirements, laws related to indebtedness, real estate laws, laws governing selection of personal representatives (executors) and laws governing wills. What’s more, a person can be held individually liable if they err in handling probate. Simple failure to notify an interested party such as a long-lost relative or forgotten creditor, or failure to meet a deadline can unravel what seemed to be a simple probate. 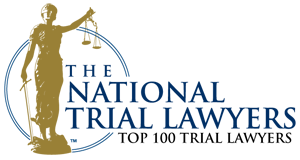 Complications can arise from disputes among heirs, disputed Wills, disinherited children, former spouses and step-children. Because you, your friends and families need time to remember your loved one without a cloud of legal doubt looming over your heads, it most often is the best choice to call on the experience of a qualified probate attorney. 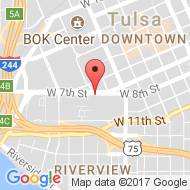 If you would like a free consultation with a Tulsa Oklahoma probate lawyer, call the Wirth Law Office at (918) 879-1681 (or toll free at (888) Wirth-Law) or submit the question form at the top right of this page.